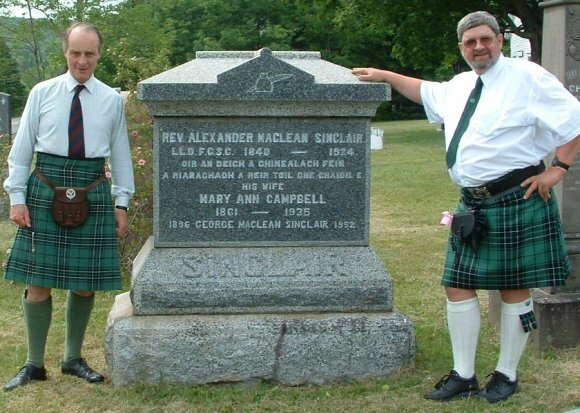 Born in Glenbard, Nova Scotia, and named Alexander to honor Alexander Maclean, Laird of Coll, he was raised in the house of his Grandfather, Am Bard Mac-Gilleain, John Maclean, one of the most distinguished Gaelic poets who ever lived. Brought up in Gaelic by his mother, Alexander early on added the Maclean name as part of his own. He was to grow up devoted to the memory of his Grandfather. "I have been led from my youth upwards to take an interest in Gaelic Literature". Indeed he was to be fervent in collecting family genealogies and Celtic songs, becoming a great reader interested in many subjects. He would in later life be acknowledged as having the finest collection of privately owned Gaelic books in North America. Over his lifetime he would author a dozen books in Gaelic, and half as many in English, along with literally hundreds of newspaper articles. He wrote authoratively on the genealogy of Chisholms, Frasers, MacDonalds, MacBeans, MacIntyres, MacKenzies, and of course Macleans. Under the name "Maclean Sinclair" his wonderful first Gaelic book "Clarach Na Coille - A Collection of Gaelic Poems" was published in 1881 and again in 1928. 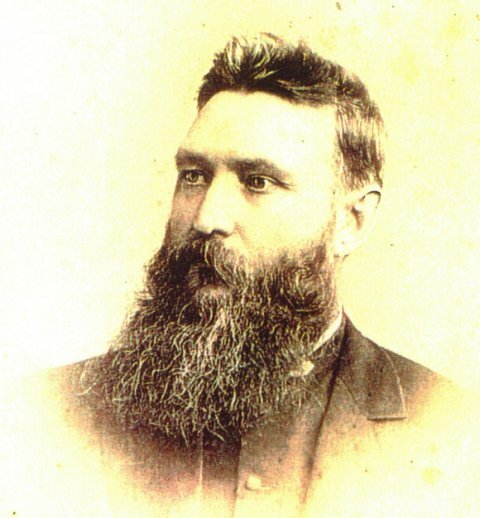 In 1898 he published "Na Baird Leathanach - The Maclean Bards" dedicated to the memory of Dr. Hector Maclean of the Isle of Mull, and John Maclean, The Poet. It sold for 65 cents. In recognizing those who helped pay the costs of printing he says "I am exceedingly thankful that in this money-grabbing age there are men and women in existence who take a genuine interest in the history of their ancestors", and of the Macleans themselves he says "they could boast of men of brains, and heart, and poetic genius". Perhaps his most ambitious book was "The Clan Gillean" published in 1899, a 532 page volume giving an extremely detailed and accurate description of Maclean genealogy. We have a copy marked up by Alexander adding even more detail. His perseverance was remarkable, sometimes to the concern of his family who felt such dedicated attention could be harmful to his health, and certainly harmful to the family pocketbook. On his low ministers salary he somehow managed to finance most of the publications himself and pay for research. John MacLeod, a "searcher of records" in Edinburgh writes to him in 1910 "Many thanks for your enclosure. I hope you will yet be able to recover the amount as it seems unfair you should suffer on my account". Another source of information was through prolific letter writing as attested by the more than 800 letters to him currently stored in the Nova Scotia Archives. We are indebted to this wonderful and amazing man as a great Gaelic scholar and writer. Editor's note: John is the brother of Alasdair Sinclair, -a member of our association and the owner of the authors copies of the Maclean Sinclair books and notes deciphered by David Robertson. 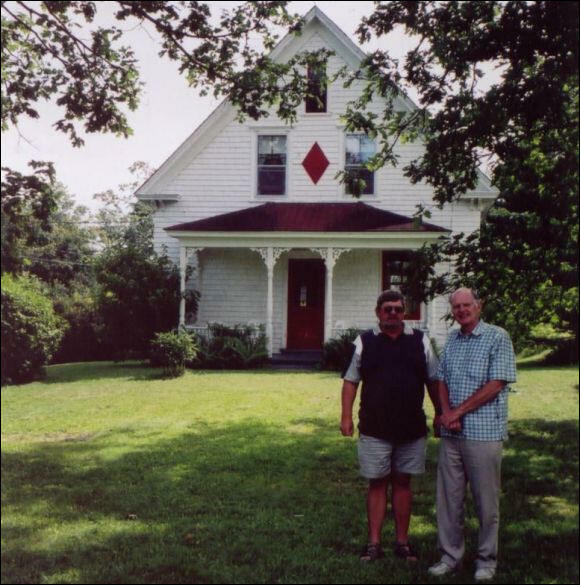 John maintains a summer home in Hopewell, Nova Scotia.